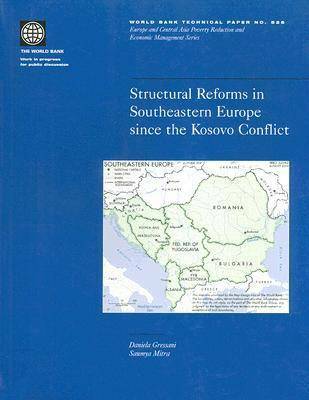 Structural Reforms in Southeastern Europe since the Kosovo Conflict describes and evaluates the achievements of the countries of South Eastern Europe--Albania, Bosnia and Herzegovina, Bulgaria, Croatia, FYR Macedonia, Romania, and the Federal Republic of Yugoslavia--in pursuing structural economic reforms in the period since the end of the Kosovo conflict. This book focuses on four key areas of structural reform that these countries have committed to pursuing. They are public management and anti-corruption, creating a liberal environment for trade in goods and services, attracting foreign investment, and encouraging the growth of a private market-based economy.